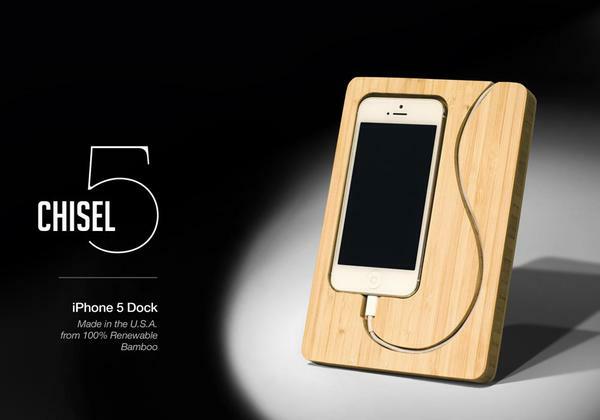 Need a natural and minimalistic way to charge or sync your iPhone 5 on the desk? Take a look at the Chisel docking station, maybe the handmade creation can meet your requirements. 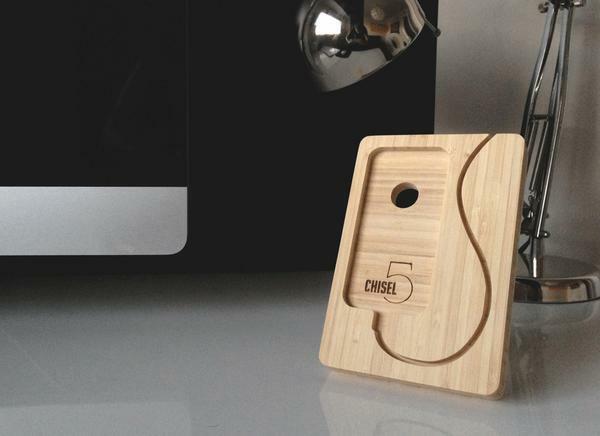 The Chisel is a practical and beautiful iPhone dock designed for iPhone 5, and handmade by Nathan Mummert from Scottsdale. 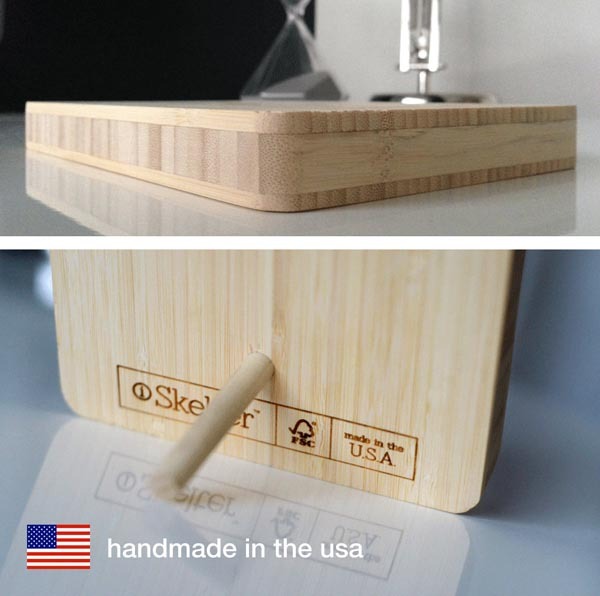 As we can see from the images, the docking station features elegant, minimalistic design, and is handcrafted out of a beautiful 100% rapidly renewable bamboo for natural style. The custom designed cradle is placed on the left of the iPhone dock in order that you can easily dock your iPhone 5, while the curved groove is perfect to hold the Lightning cable for charging or syncing your iPhone 5. Moreover, the integrated iPhone stand holds the iPhone dock in portrait or landscape viewing mode, and the cutout lets you easily get out your iPhone 5 from the dock. Apart from that, the minimalistic docking station also works well with iPod touch 5G. The chisel handmade docking station is priced at $39 USD. If you’re interested, jump to Etsy for more details. Additionally, if you use iPhone 4/4S, another chisel iPhone dock should be more suitable for you.